Does your weather seal buckle or let air through your garage door? Has it seen better days on the garage door frame? Express Garage Door Toronto carries Aluminum frame with rubber seal or Rigid Vinyl garage door weatherstrip with dual rubber and cap to cover the screws. 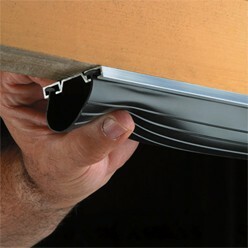 Garage Door weatherstrip will help protect your garage door from the elements. Our parts department also carries most manufacturers of garage door weather strip. If you are a do- it-yourself individual, please visit our parts department and let Hamilton Door Systems help you, or one of our experienced technicians will be able to install your garage door weatherstrip for you. Approximately 11 percent of all residential heat loss comes from doors. Exterior doors are constantly being opened and closed (especially during the holiday season), contributing to energy loss. Because of improper insulation, energy loss occurs even when the door is closed. The heat loss often causes people to tamper with their heating system, further contributing to residential energy use. 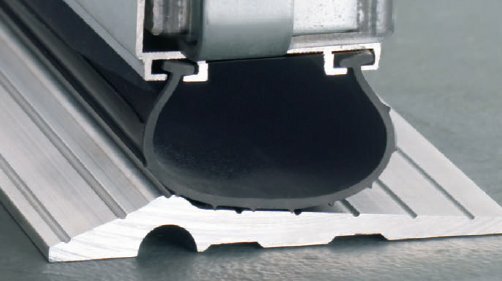 A garage door weatherstrip seals the gap between the door and threshold to stop the unwanted infiltration/exfiltration of air. Standard - Heavy-duty weatherstripping that is ideal for doors that move across hardwood floors or tiles. These door bottom sweeps have an aluminum carrier, and typically last for years. Because of the longevity of this type of weatherstripping, it does not have to be replaced on a regular basis. Automatic - Useful on doors crossing carpets and rugs. Seals the gaps when the door is closed, and will rise to pass over a carpet or rug. Exterior - Renters find this type to be best, as it does not require actual installation on a door. 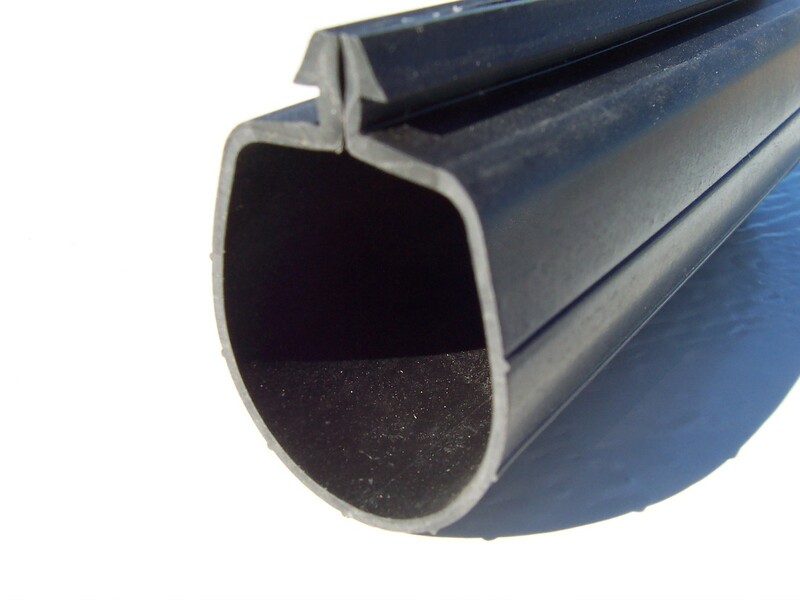 Exterior door weatherstripping consists of foam tubes and sleeves to fit them in. This slides gently over the floor whenever the door is opened, and the sleeves are machine washable. Self-Stick - Place this in a room where heat does not circulate as well as it does throughout the rest of the house, such as a basement or door leading to the garage.